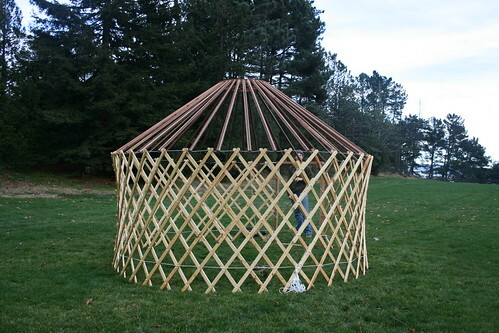 Today, Mark turned me on to the connection between yurt walls, and a hyperboloid, which is a 3D geometrical surface. But what is special about the surface is that you can create it, although it is curved, using only straight lines! On wikipedia, it says that since the hyperboloid shape can be built with straight beams, it allows minimization of wind cross-section while retaining structural integrity with minimal material. 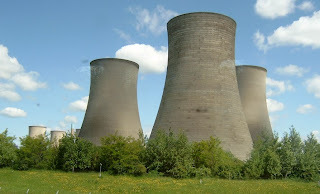 Other structures which are made of the same shape are cooling towers. A power plant cooling tower.